At 500m from one of the most beautiful beaches of Trévignon, our cottage "Ty alice" will open its doors in May 2019. 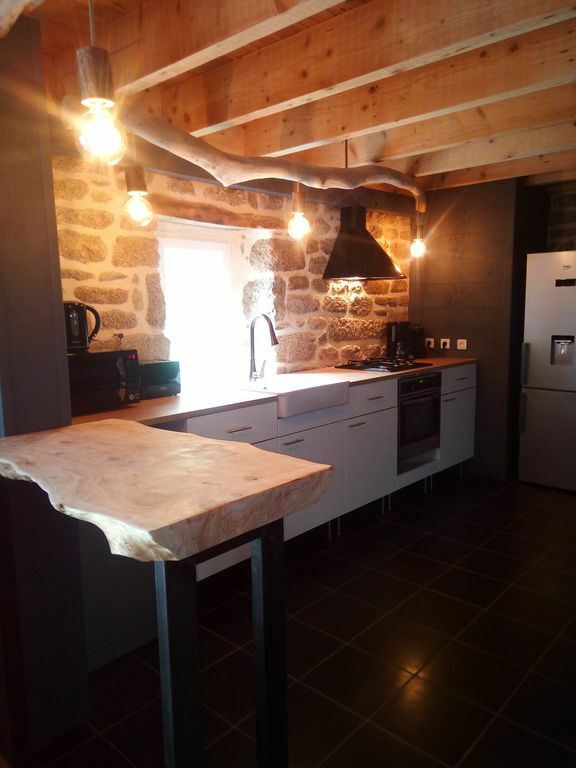 You will stay in a stone Breton farmhouse of 80m2 with a beautiful wooden terrace of 20m2 facing south. The renovation of this former carpentry workshop will be completed in the spring! You can walk to the beach (about 500m) and the village of Saint Philibert (bakery and restaurant 50m) with its typical chapel. The small fishing port of Pointe de Trévignon is 3 km from the cottage, accessible by the coastal GR, you can walk there and buy fresh fish and seafood.